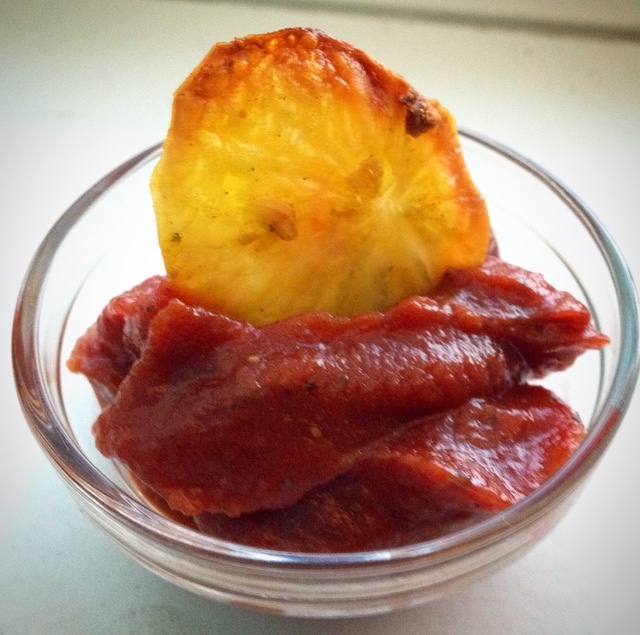 After I made fermented ketchup, I needed to make something to eat it with! 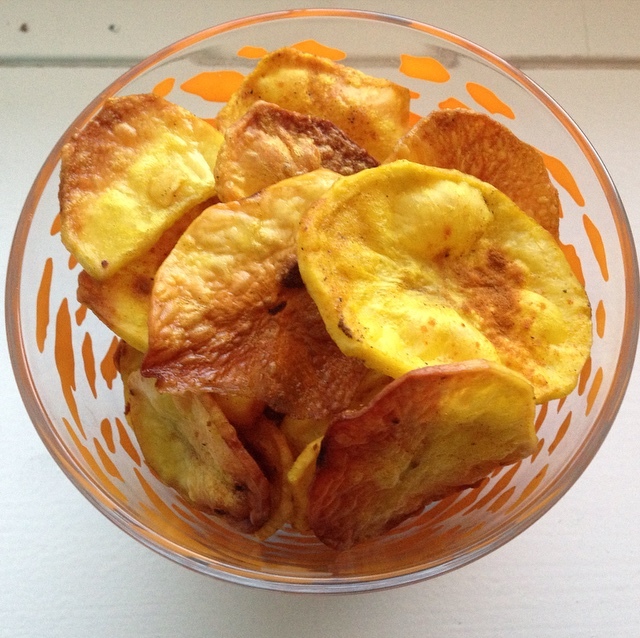 I was going to make regular french fries, but I decided to try something new, and ended up with these crispy turmeric baked potato chips! Turmeric is flavourful and good for you! The golden coloured spice is said to contain a wide range of antioxidant, antiviral, antibacterial, antifungal, anticarcinogenic, antimutagenic and anti-inflammatory properties. Turmeric is fat-soluble, so to aid in its absorption it is important to eat it with some form of tasty fat! The oil that is added to these chips does just the trick! 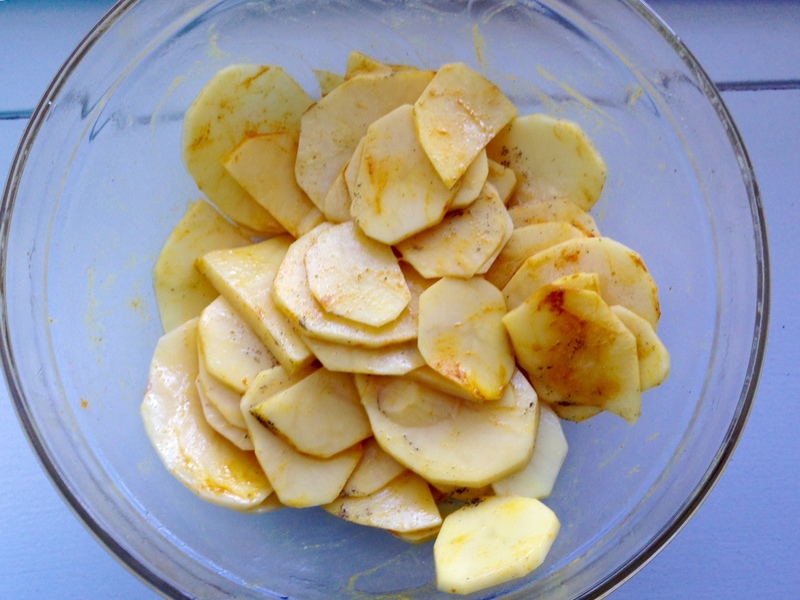 Slice potatoes very thinly – the thinner it is, the crispier it will be! They are so good that they can be enjoyed on there own, or dunk them in any dip of your liking! 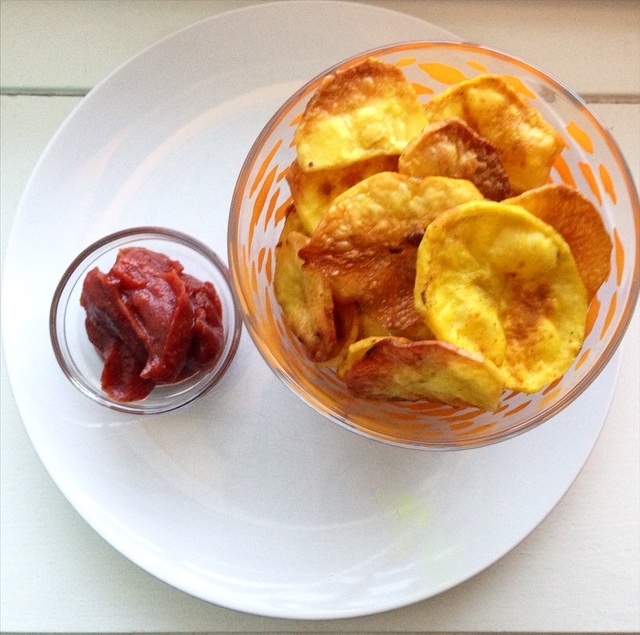 Mmmh they look really good – and so easy! !